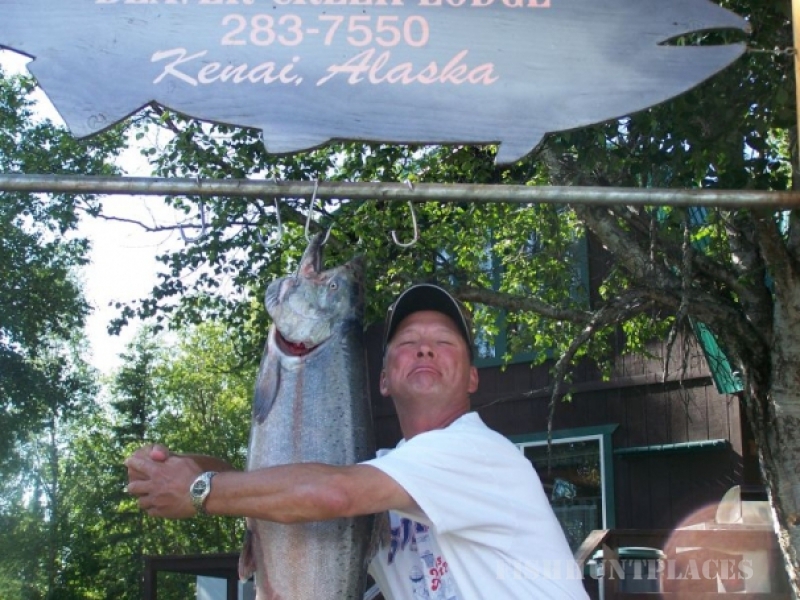 Join Captain Bligh's Fishing Guide Service on the world famous Kenai River for an Alaskan vacation of a lifetime. 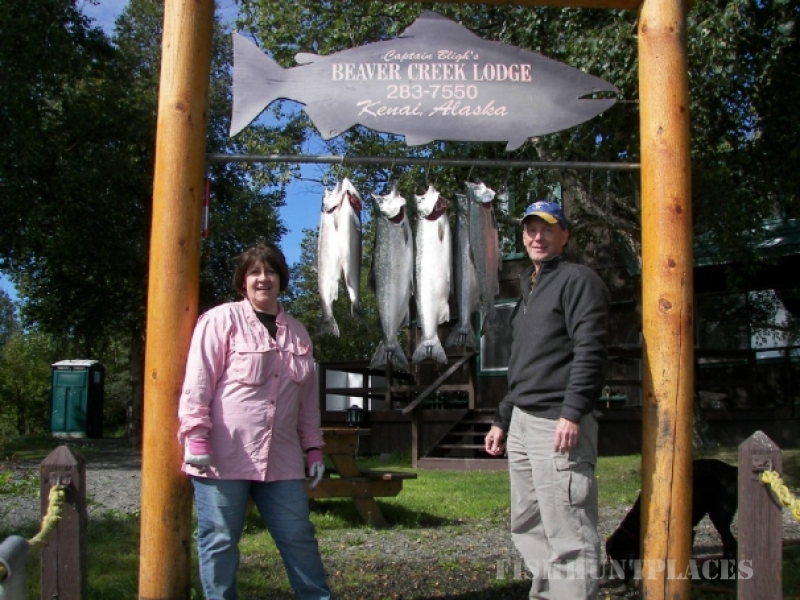 Kenai River fishing trips offer Kenai and Kassilof River King Salmon (Chinook), Coho (Silver) Salmon, Sockeye (Red) Salmon, Pink (Humpy) Salmon, Halibut, and Rainbow Trout. 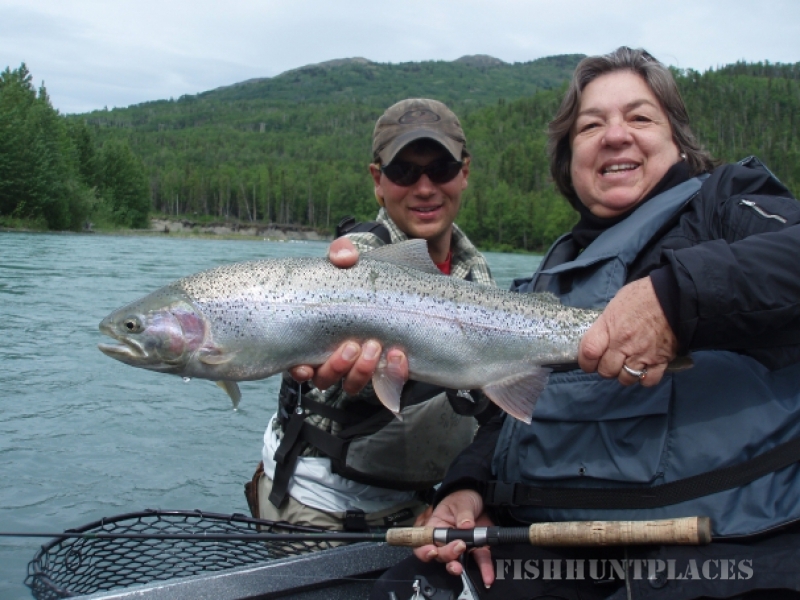 Captain Bligh's professional Kenai River fishing guides will lead you to the most prolific fishing sites, or you can go out on your own adventure. 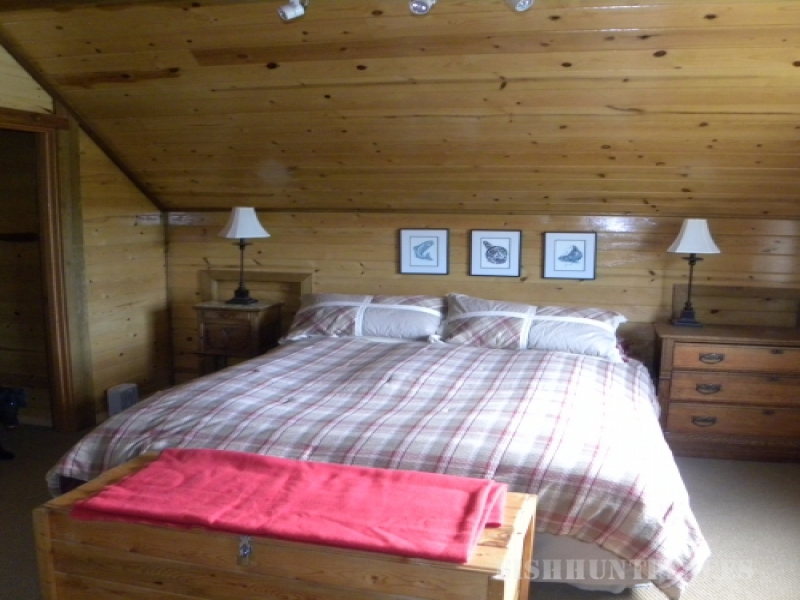 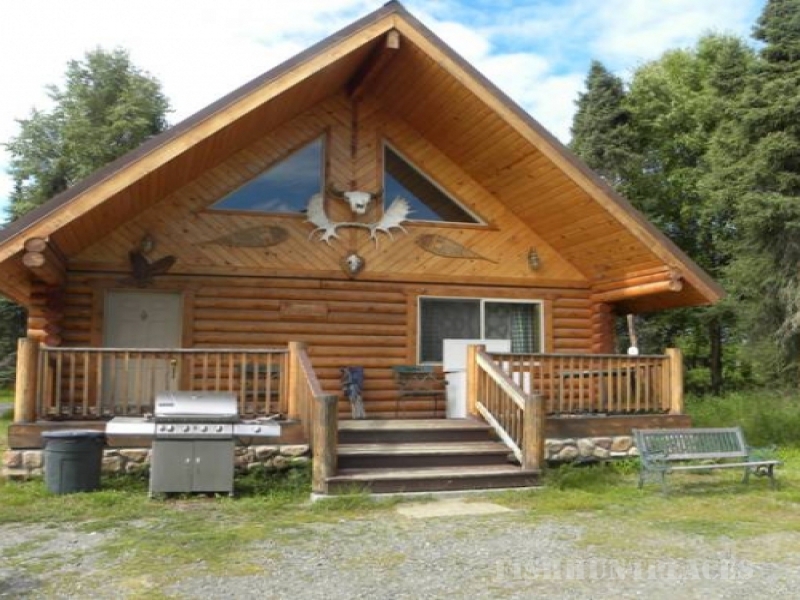 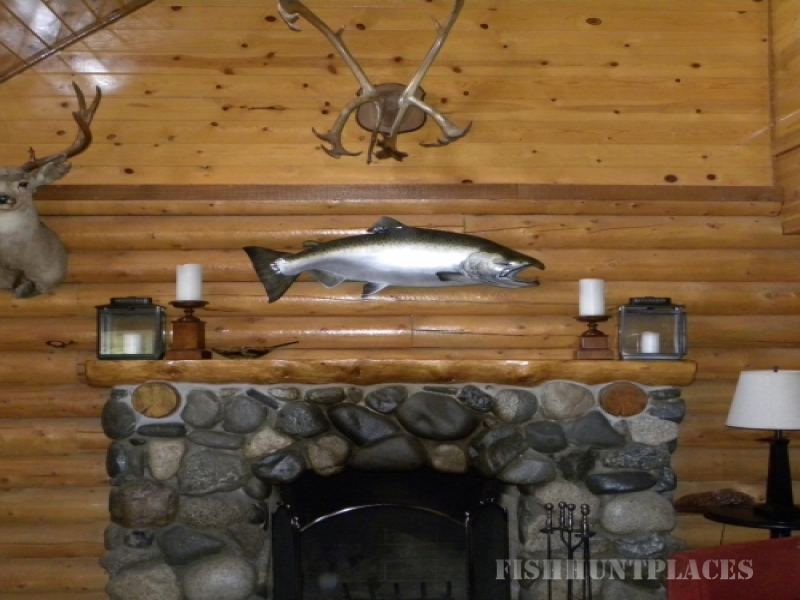 Stay at the charming Kenai River fishing lodge and cabins for some of the most comfortable wilderness lodging during your Alaska fishing trip.